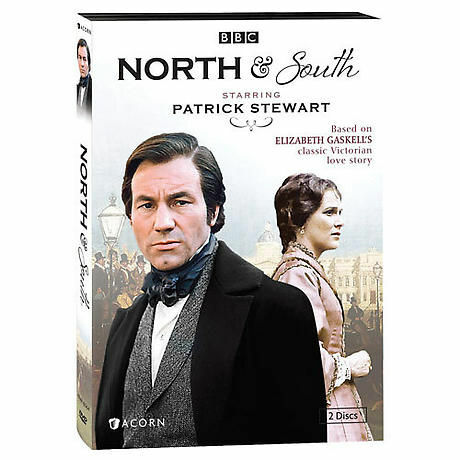 Patrick Stewart (X-Men, Star Trek: The Next Generation) stars in this classic BBC period drama based on the novel by Elizabeth Gaskell (Cranford). Margaret Hale (Rosalind Shanks) moves with her parents to a manufacturing city in England's north. She hates the smoke, the soot, and especially the mill owner, John Thornton (Stewart). Set in Victorian times, this slow-burning romance is also a clear-eyed view of the Industrial Revolution. 4 episodes, 3¾ hrs, 2 DVDs, SDH.